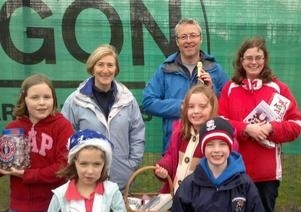 Rainford Tennis Club today ran a Family Treasure Hunt at the Spinney Park. Children and their parents were attendance to join in the fun and won some great prizes. There was then the opportunity for all those in attendance to have food together in the village after the event has finished. "We would like to thank everyone who came along today" said Steve Vincent, who organised the event. "We are glad everyone enjoyed the day and we'll be running more events like this in the future."